Hi, I've been enjoying pcsx2 the last few days with most games working either fully or with minor tweaking. I have a shadow problem with Rumble Roses though. After a bit of searching I found a post stating that the NLOOP "hack" causes messed up shadows in Rumble Roses. That was with an old version of GSdx though and in the new version there is no option to disable NLOOP since it's now considered correct behavior. What are my options for fixing the shadows? I am using 0.9.8 from latest official installer on win 7. Here are a couple of examples..
Yep, software mode fixes it. Unfortunately resolution goes way down as a result. Rumble... Roses. Now there's an *interesting* game. What are your system specs? It might be possible to get more speed in software mode. I have a i7-2600K, 16GB Ram and GTX 580, win 7 64bit. Software mode runs fine really, but I can't seem to find any way of increasing the resolution, like in hardware mode. It bumps all the way down to native. Perhaps I need to try and find an older version of GSdx and disable the NLOOP like that? That's odd. Are you running Direct X10/11Software? It should be possible to set resolution manually. 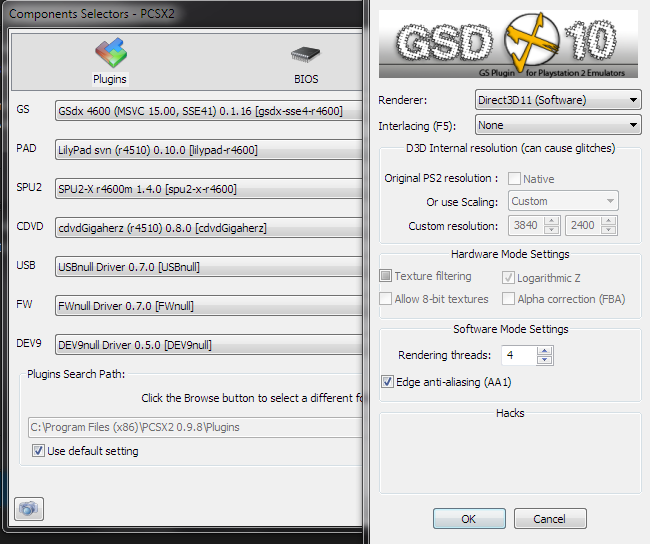 Plus, there is an AVX Gsdx plugin which improves software mode performance if your CPU supports it. Software mode use your CPU for rendering..
kohaku2421, ok so there is no way of increasing resolution with software only mode. That means the only options are to either suffer lower resolution or try to find an old version that has no glitches, right? Is there a repository of older versions?